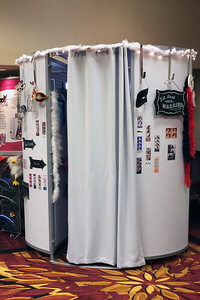 The Booth Lady's Photo Pod photo booth is decked out at a Cleveland wedding show. 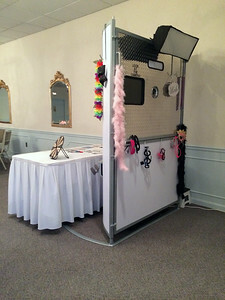 The Booth Lady's Original Photo Pod photo booth at a wedding show in Westlake, Ohio. 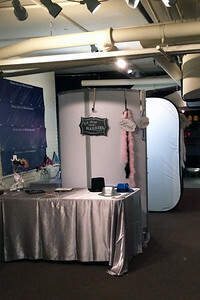 The Booth Lady's Wedding Photo Booth service, set up in the foyer, pink and silver reception. 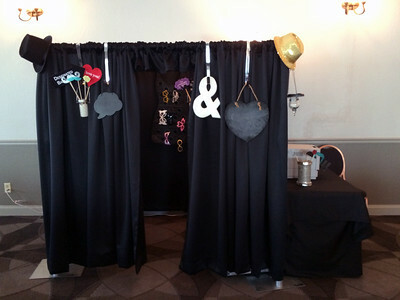 The Open Air version of the Photo Pod photo booth at the IX Center, set up for a red reception! 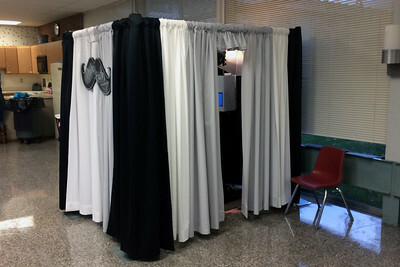 The Round Open Air Photo Booth set up for Prom for the young men and women of Summit Academies. 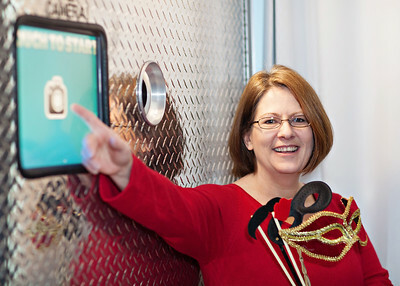 Close Up of the Round Open Air Pod Photo Booth. Close up of the face of the Round Open Air Pod at Summit's Prom. 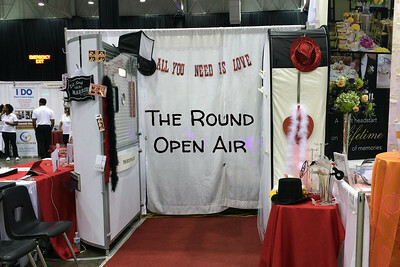 The Party Side of the Round Open Air Pod at the Summit Academy Prom. 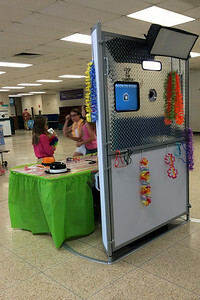 Using the Round Open Air photo booth at an elementary school luau in Westlake, OH. 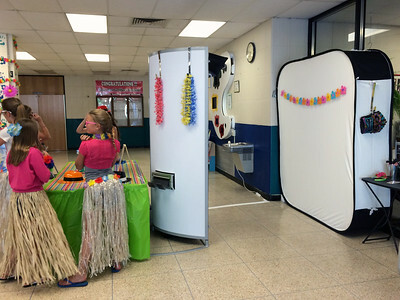 Using the Round Open Air photo booth at an elementary school luau. 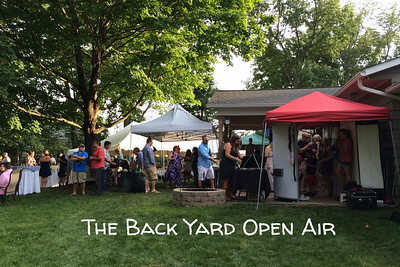 Using the Round Open Air Pod for a wedding reception at the Wheeling Artisan Center in Wheeling, WV. 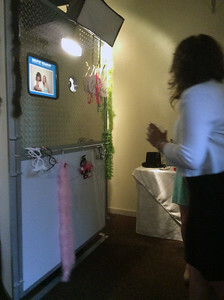 Using the Round Open Air Pod at a pink & seafoam wedding at the Wheeling Artisan Center in Wheeling, WV. 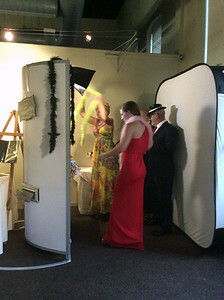 Wedding reception guests using the Round Open Air photo booth at the Wheeling Artisan Center in Wheeling, WV. 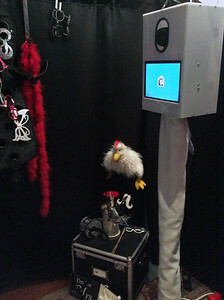 Group Photo in the Round Open Air Photo Booth at the Wheeling Artisan Center in Wheeling, WV. 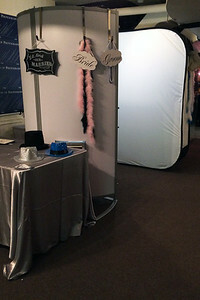 The Booth Lady's Round Open Air tented photo booth at a backyard wedding in mid-Ohio. 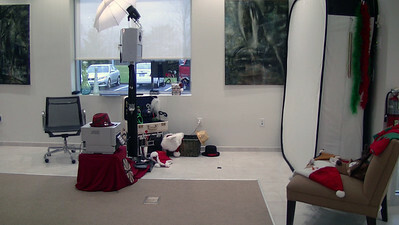 Using the Round Open Air Pod in the Photography Room at Stan Hywet Hall. 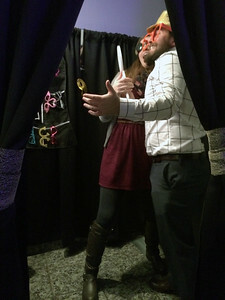 Using the Round Open Air photo booth in the Photography room in Stan Hywet Hall. 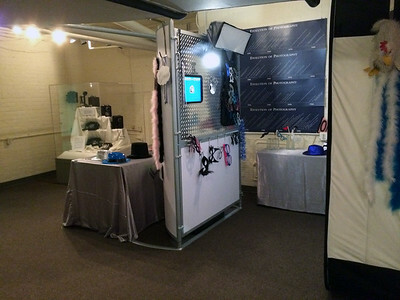 Using the Round Open Air photo Booth in the Photography Room at Stan Hywet Hall. The reception colors were blue & silver. The Round Open Air Pod at the beach. 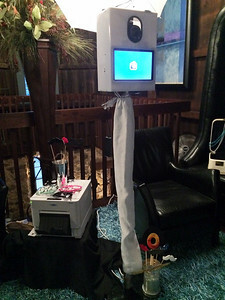 Using the Open Air Pod at a Mardi Gras themed employee appreciation party in Lakewood, OH. 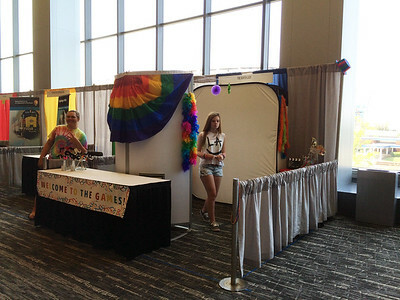 Using the Round Open Air photo booth for fun & entertainment at the Gay Games registration event in the Cleveland Convention Center. 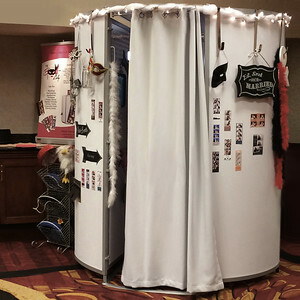 The Booth Lady's Traditional Photo Booth Enclosure in use at a red & black wedding reception. 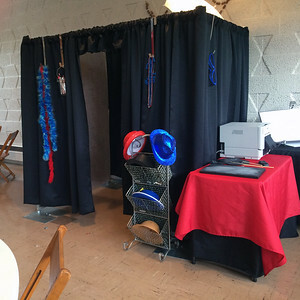 Using the Traditional Photo Booth at Katera the Terror's red & blue graduation Party! 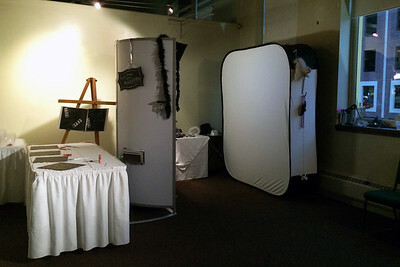 Using the Traditional Photo Booth at a children's elementary school Fall Fest event. 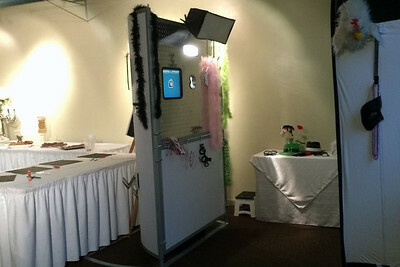 Jenn and Kris's Traditional Enclosure set up and decorated before the reception. 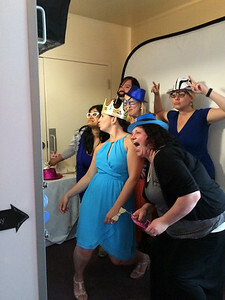 The wedding party wore teal and gold. Using the Traditional Photo Booth at Shannon & Carl's incredible Vegas-themed wedding reception at Massimo da Milano. 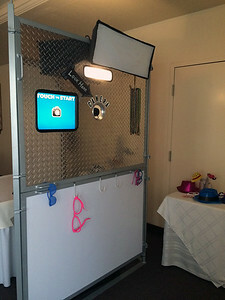 Inside view of The Booth Lady's traditional photo booth at Shannon & Carl's Vegas-themed wedding reception at Massimo da Milano. 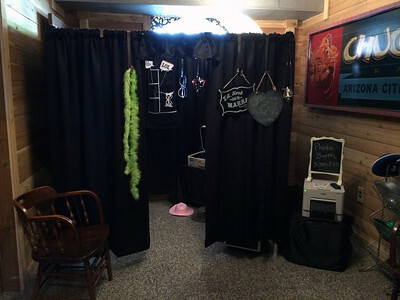 Sylvie and Eric's Traditional Photo Booth - at the bottom of the stairs at the Cross-Eyed Moose. 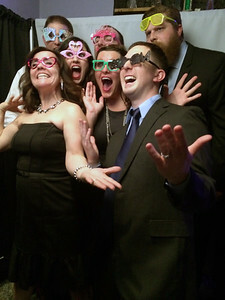 The wedding party wore blue and green. 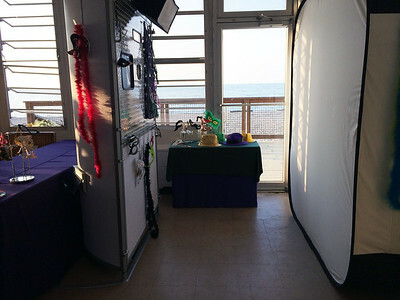 The venue made room for a wedding at the last minute after a downpour flooded the ceremony site! 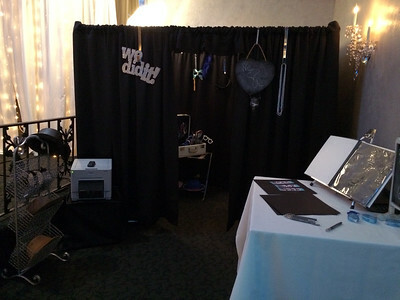 Sylvia and Eric's Scrapbook next to the Traditional Photo Booth at the bottom of the stairs. 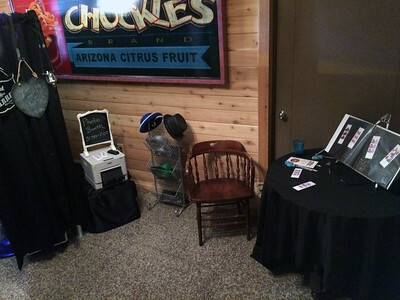 The Booth Lady's Selfie Station photo booth set up in the family garage for Gabby's grad party. 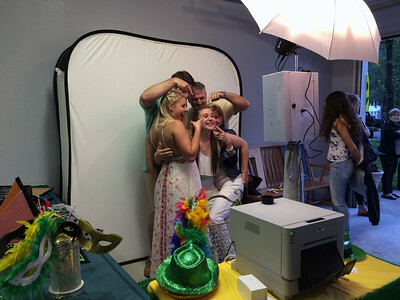 Cute family! 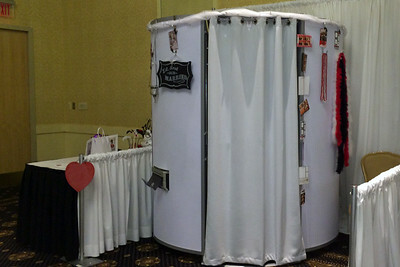 The Booth Lady's Selfie Station Photo Booth. 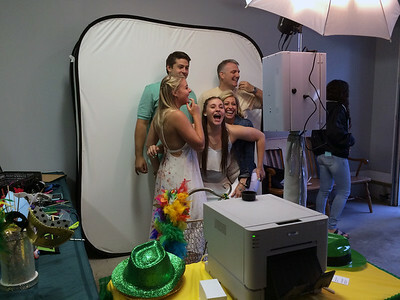 Gabby's High School Graduation Party. 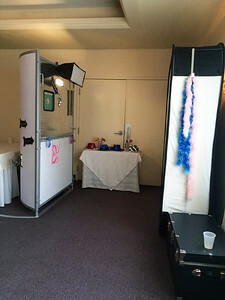 Kathleen and Matthew's Wedding Reception Selfie Station Photo Booth. 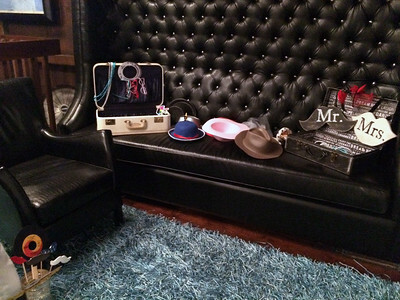 Some of Kathleen and Matthew's Photo Booth Props - custom Beatles themed props included. 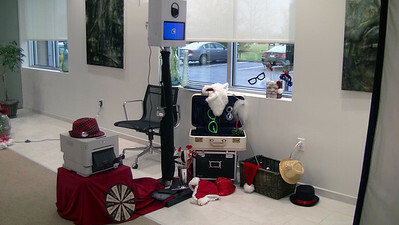 Workplace Christmas Party Using the Selfie Station Photo Booth with tons of Props.